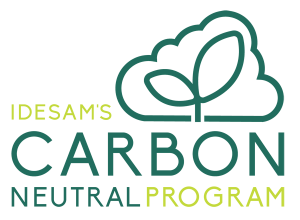 Idesam’s Carbon Neutral Program (PCN) was created in 2010 to connect large urban centers to forests, enabling people, companies and initiatives to take responsibility for the impacts they generate on the planet, offsetting their greenhouse gases (GHG) emissions . The compensation is made through the recovery of degraded areas in the Uatumã’s Reserve (see map at the bottom of the page) located in the state of Amazonas. The planting model – called the Agroforestry System (SAF) – is a form of land use that combines tree species (fruit and/or timber) and agricultural crops: these two elements interact ecologically and complement each other, optimizing the farmer’s produce, the diversification of production and the more efficient use of natural resources. This form of work generates not only environmental but also socioeconomic benefits, since it guarantees food security and income generation for the families involved in the program. The work methodology of the PCN has already been recognized by several initiatives and is now part of the Bank of Social Technologies of Banco do Brasil Foundation (FBB). Planting and monitoring of Agroforestry Systems in Uatumã’s RDS, in partnership with local residents. Idesam’s Carbon Neutral Program is open to companies, events and individuals interested in offsetting their GHG emissions and contributing to climate change mitigation, generating a series of socio-environmental benefits for communities living in the Uatumã’s RDS. The activities to be ‘carboneutralized’ are mostly related to electricity consumption, travelling, accommodation, and land and/or river transportation.